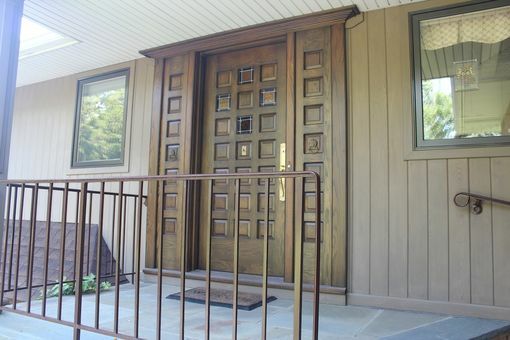 Solid Oak Front Entry Door. Nothing about this door is box store thinking. The door, buck and side lights are one integral unit. 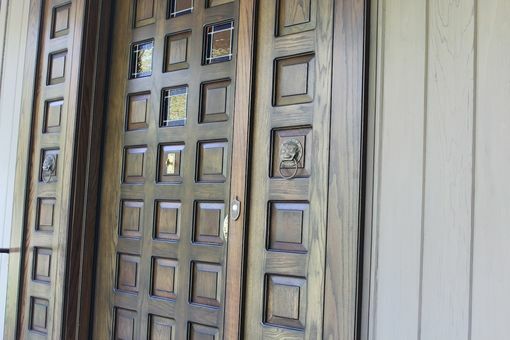 We started with the idea of a raised panel door with a Medieval European motif and we could not be happier with the outcome. Nothing is standard size. 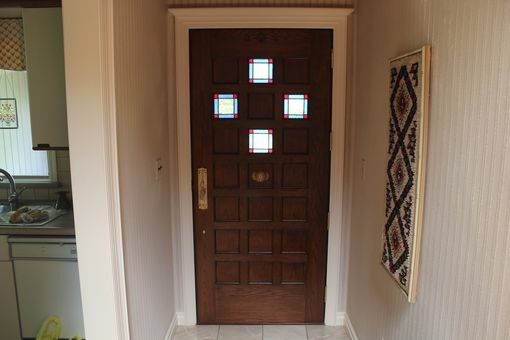 The door itself measures 2 ¼" thick and is 6'-10" tall. The construction is all solid Red Oak. 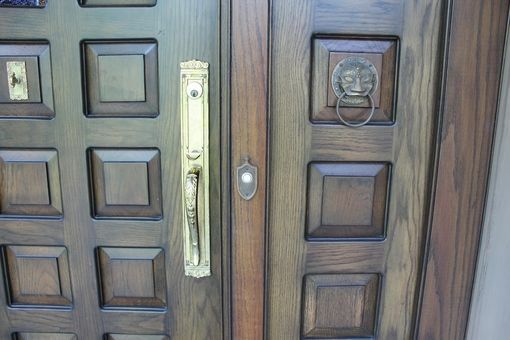 We used oversize, solid Brass hinges and carried the antique Brass theme to the Gargoyle knockers guarding the entrance left and right. 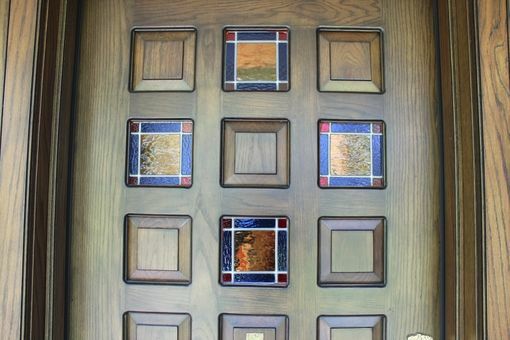 A cross motif was also incorporated into the design using real stained glass panels. 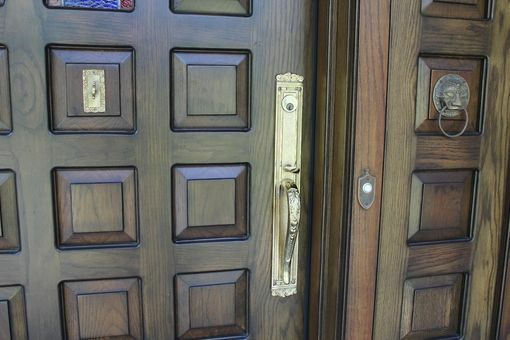 Believe it or not all of the component pieces to the door were soaked in boiled linseed oil for a month, then allowed to dry and then assembled and finally finished with several coats of premium polyurethane top coat.